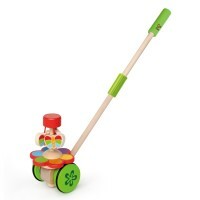 Toddlers and parents will adore this Janod's Crazy Doggy Cart with jingle bell! 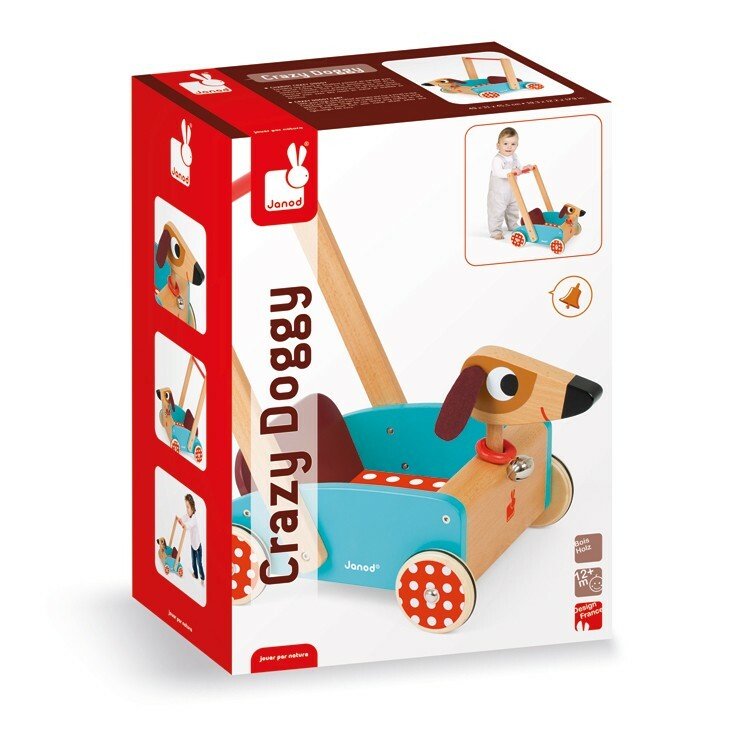 It's a crazy dog! 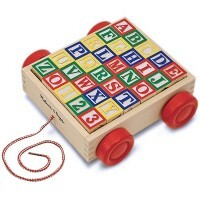 It's a sound toy! 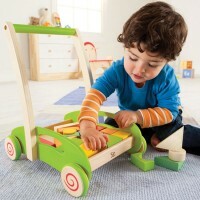 It's a push cart for walkers! 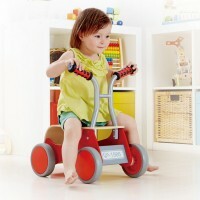 Crazy Doggy Toddler Push Cart is attractively designed and quality made by the award winning French toy manufacturer, Janod. 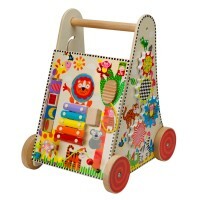 This brightly colored wooden cart will assist your toddlers to move around, stay active and play on the way. 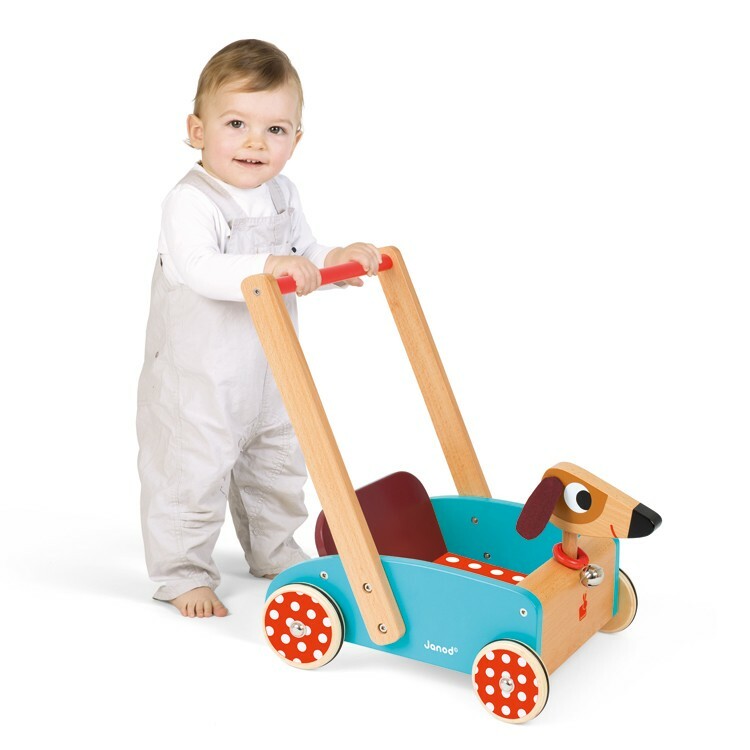 This stable walking toy for tots features sturdy all-wood cart, with the cute dog head in front. 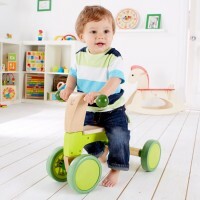 The dog theme cart from Educational Toys Planet comes with comfortable handle bar, bright color wooden wheels, and jingle bell dog color to accompany your child's walk with sound. 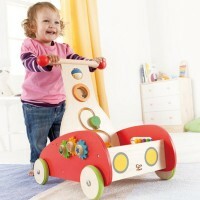 Crazy Doggy Toddler Push Cart with its bell sound will help parents to know where their little walker is. 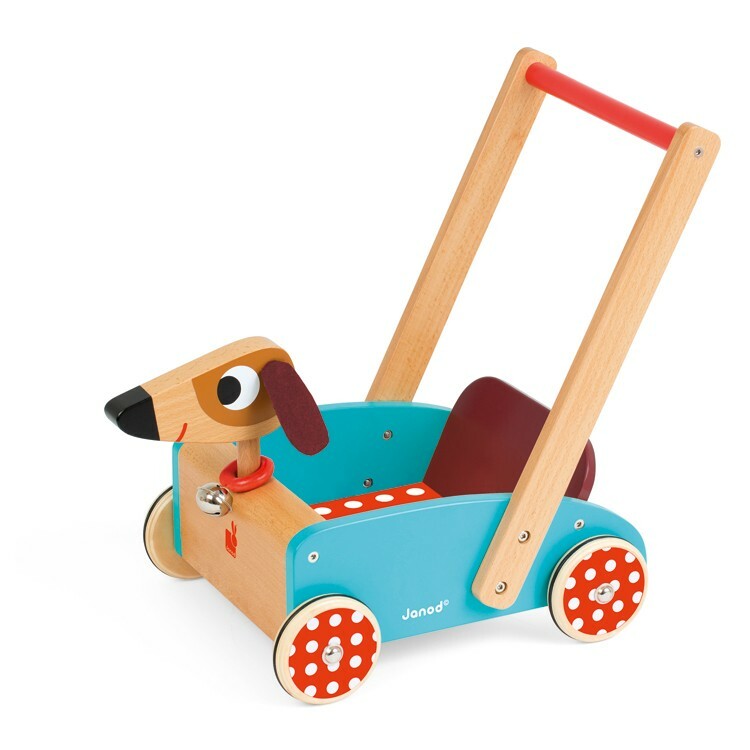 Kids will love to load this doggy cart with their favorite toys, snacks, or extra clothes as they take it for a walk to the park or for a stroll around the backyard. 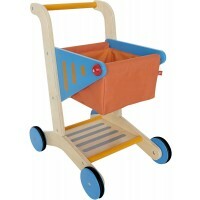 The Crazy Doggy push cart is 19.3 x 12.2 x 17.9 inches. 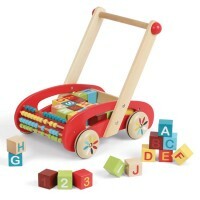 Dimensions of package 7" x 12.75" x 17.5"
Write your own review of Crazy Doggy Toddler Push Cart.